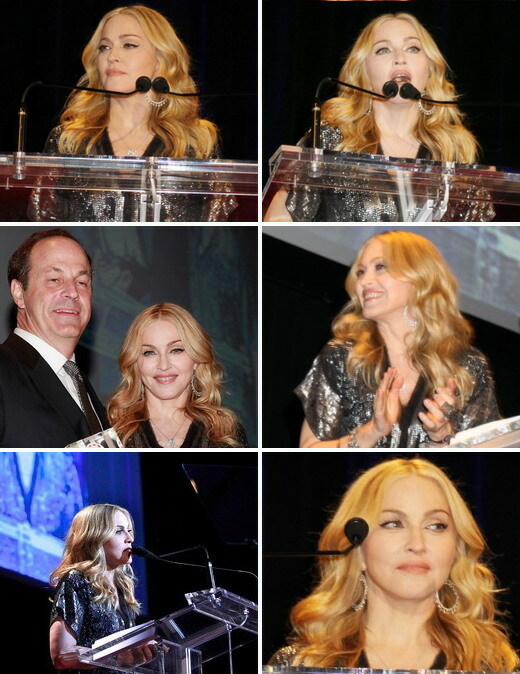 Madonna makes a rare appearance at the Waldorf-Astoria Hotel in New York, on November 3, 2010, at the 5th Annual Fashion Delivery awards. She presented an award to honoree Neil Cole (Kenneth Cole’s brother), Iconix Brand Chairman and CEO, a man who according to Madonna “get’s things done”. She was wearing an over-the-knee skin tight boots with catchy matching outfit. The event is a charitable function through which clothing manufacturers donate clothings to disaster victims.